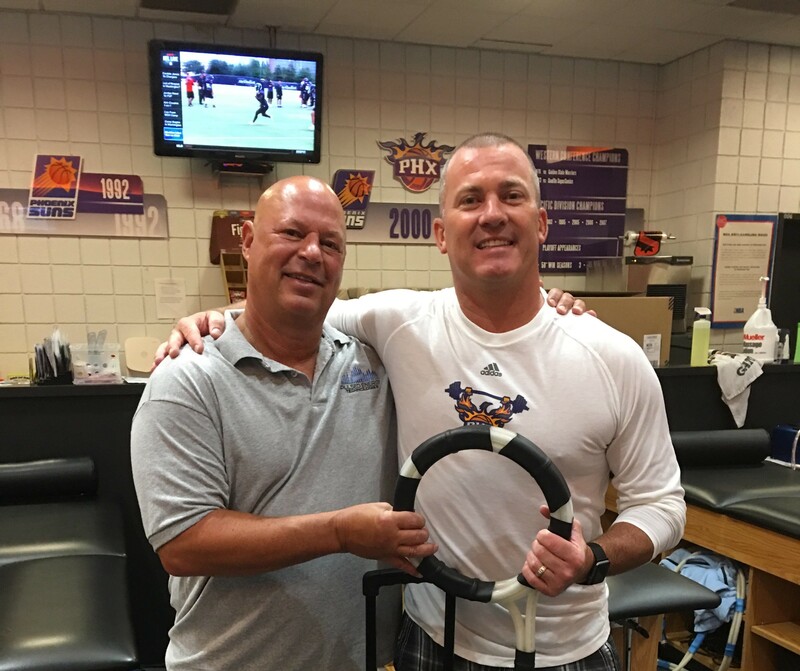 In a move to provide players with similar therapy treatments away from the comfort of their home training room, the NBA’s Phoenix Suns have purchased a second clinical PER 2000 unit from Pulsed Energy Technologies. Nelson’s staff has seen tremendous results with the PER 2000, a Pulsed Electromagnetic Field therapy device that comes in three sizes. The Suns are annually among the NBA leaders in fewest games missed by players, with the PER 2000 a significant part of the injury recovery program. The move to add a fourth machine was made so the Suns’ training staff could better handle the demand for treatment by players and coaches. The Suns already possessed two portable units. Now with four, the Suns are able to significantly cut down on time spent in the training room before and after practices and games. The Pulsed Energy Replenisher 2000 emits Pulsed Electromagnetic Field therapy (PEMF), which has been shown to have significant effects on body cells, assisting in speeding recovery and decreasing pain. The Pulsed Energy Replenisher 2000 emits Pulsed Electromagnetic Field therapy (PEMF), which has been shown to have significant effects on body cells, assisting in speeding recovery and decreasing pain. The therapeutic benefits of the PER 2000 can often be felt after just one energy session. This revolutionary healing device targets the source of pain and transfers powerful magnetic energy pulses to the point of injury, no matter how long ago it occurred. Pulsed Energy Technologies was founded in 2006 with a mission to manufacture and distribute the highest-quality products possible. Pulsed Energy Technologies is committed to leading the way within the worldwide pain management category by developing PEMF (Pulsed Electromagnetic Field) therapy products that use noninvasive, drug-free methods of creating muscle stimulation, mild therapeutic heat and long-term pain relief that helps users return to a normal, active lifestyle.